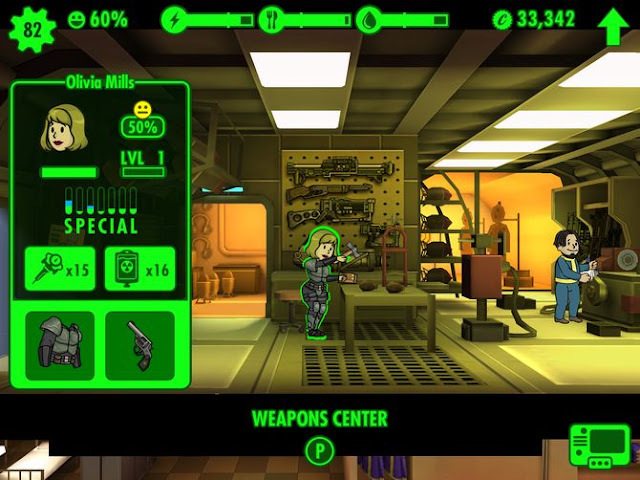 Resources are in fallout shelter, the alpha and omega of a regular Vault operation. Need to get these resources your Vault Dwellers accomplish their day's work in different rooms. However, there are not only spaces that provide your bunker with resources: There are also rooms where your inhabitants live simply or your skills could be targeted. You cannot access to all rooms at the beginning, you must first unlock them. How this works? From a certain number of Vault dwellers. We have put together all the rooms, your different stages of development, and especially the costs in a practical table. Tip: Plant your bunker so that equal spaces adjoining properties. Do they have the same stage of development, so these spaces merge into one. Larger rooms can accommodate more residents and bring more resources.